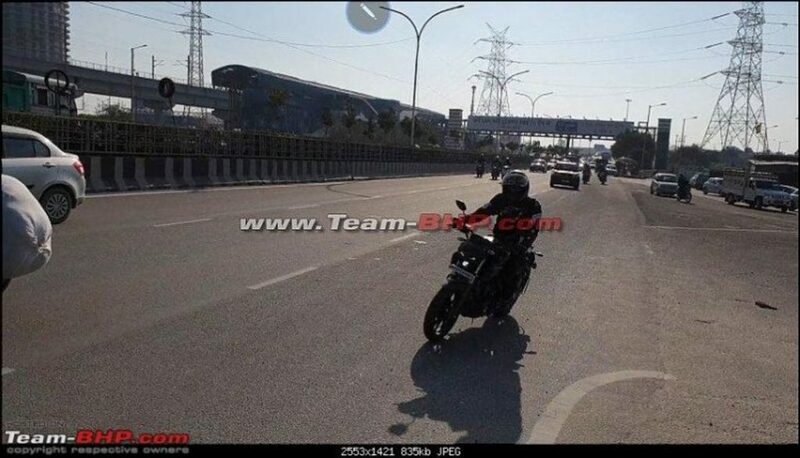 The Indian spec Yamaha MT-15 which is basically the naked streetfighter variant of the YZF-R15 V3 was spotted once again while testing around the Delhi NCR region. The Indian spec MT-15 does miss out on few premium features which can be found on the Thai spec motorcycle. The upcoming motorcycle will be positioned below the R15 V3.0 and will also be slightly more affordable than its fully faired variant. 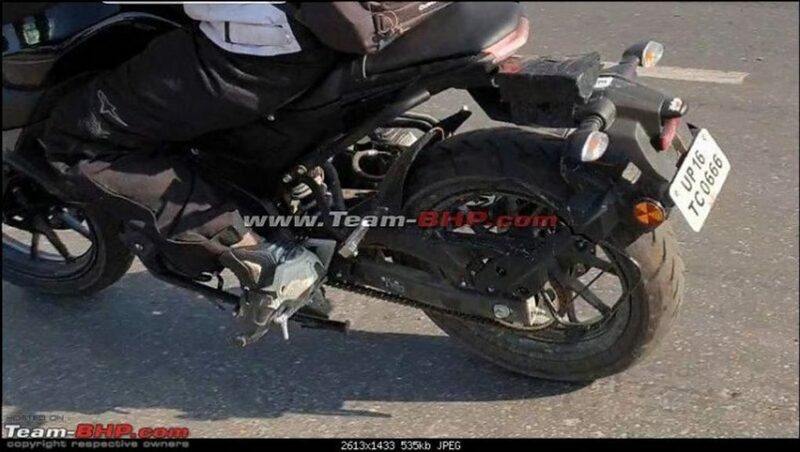 The MT-15 gets a conventional telescopic front fork setup instead of an upside down unit seen on the Thai spec model. While it also has been fitted with 17-inch alloy wheel borrowed straight from Indian spec R15 V3.0. The Thailand spec MT-15 which was unveiled in front of the public in October 2018 featured LED headlamp which has been inspired from the bigger and more powerful MT-09 while it also featured a new all-digital instrument cluster which has been inspired from the YZF-R15 Version 3.0. The MT-15 test mule which was spotted recently gets a muscular looking fuel tank with extended tank scoops while the rear tail section also has been lowered slightly as well. The MT-15 also gets a single piece seat instead of split seat while the spy shots also revealed that the motorcycle features a wider handlebars and slightly rear set footpegs for the comfort of the rider. The MT-15 will underpin the same Deltabox chassis which is also used by the sportier R15 V3.0 as well. 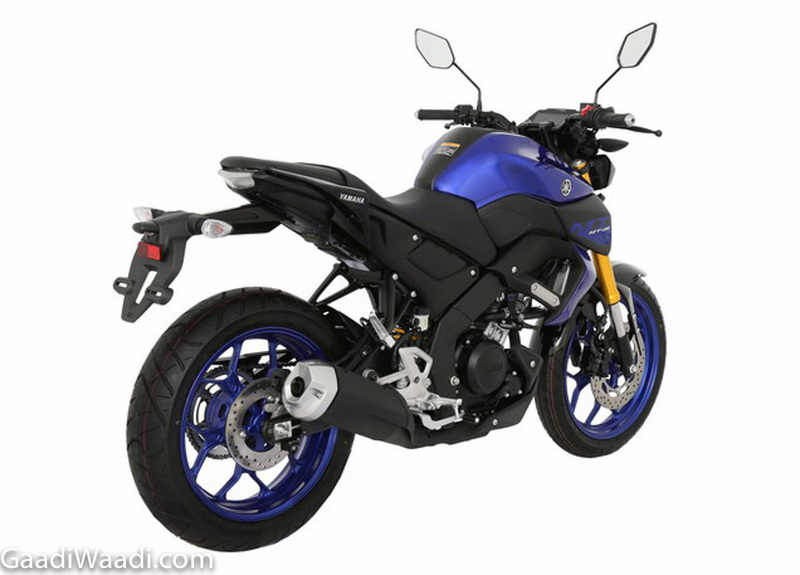 The Yamaha MT-15 will be powered by the same 155cc, SOHC, 4-valve, a liquid-cooled unit. This engine gets Yamaha’s VVA (variable valve actuation) and produces about 19.1 PS of peak power and 14.8 Nm of peak torque. The engine will also feature a slipper-clutch assisted 6-speed gearbox which sends all that power to the rear wheel via a chain drive. The Yamaha MT-15 will compete directly with the likes of the KTM Duke 125, TVS Apache RTR 200 4V and the Bajaj Pulsar NS200 when launched. Expect the motorcycle to be priced around Rs 1.25 Lakh (ex-showroom) and launch around mid-2019.